We always trying to offer you creative and beautiful design and ideas, so we have today another Great idea for skirt. 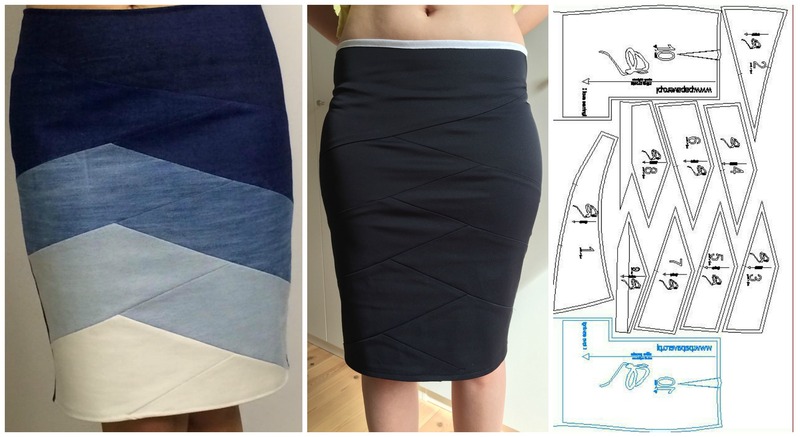 For skirt which one you can make just from different pieces, but design of this skirt is very beautiful and you can also buy new material and manage your design and colors. So Look at the pictures and imagine how beautiful will be this skirt at your clothing from your wardrobe and we recommend if you have some free time for sewing start now, because it’s very easy to sew and your day will become very enjoyable and happy with results. Hope you will enjoy and thanks to author for great ideas, design and tutorial. Good Luck. Tutorial is In Polish, But as we know Google has great translation function and you can use it.